Provide students with a wide theoretical and practical background in business & management, an intercultural approach of the international development of companies, and a specialization in one of the two following areas: global management or finance. This program is aimed at students with bachelor degree or young professionals with at least three years working experience. The main admission criteria is to hold a French or a foreign bachelor degree. Each MBA student in First or Second year must hold the TOEFL, the TOEIC or IELTS. The admission committee examines your application and gives its decision by email. This course costs € 7000. 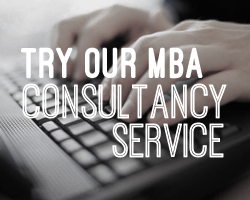 Fill out your details to find out more about MBA in International Business.